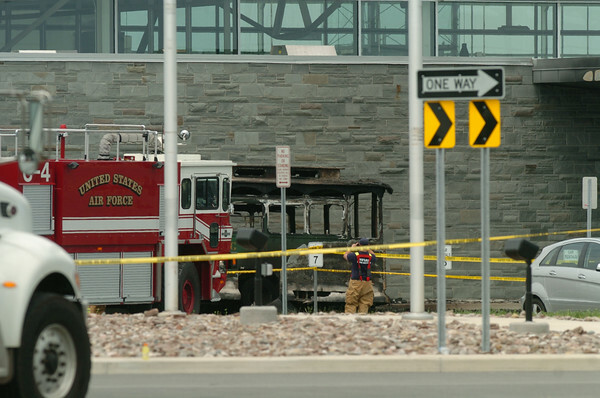 DAN CAPPELLAZZO/STAFF PHOTOGRAPHERNiagara Falls - A United States Airport Fire and Rescue firefighter looks over the burned out hull on an NFTA Trolley parked in front of the Niagara Falls Airport. The fire broke out at about 11 AM. No injuries were reported.